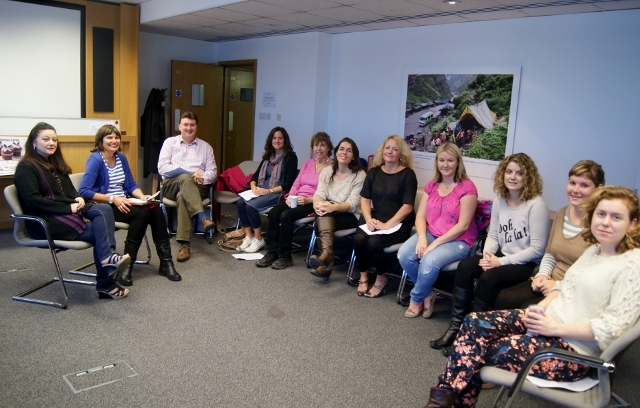 The workshop was led by Chair of Bipolar UK and APP trustee Clare Dolman, who is herself a woman with bipolar and mother of two, and APP Chair Professor Ian Jones, of Cardiff University, the UK’s foremost expert on bipolar and pregnancy issues. Professor Jones outlined the extra risks that women with bipolar face when thinking about having a child: research has shown that they face a 25% chance of having a postpartum psychosis after birth (a severe mood disorder that usually requires going to hospital), and a 25% of having postnatal depression. This means that most have a 50% chance of staying well, but the odds are worsened if they have already suffered one postpartum episode, or if they have a close female relative who has had one. ‘That is why it is so vitally important to discuss your own particular medical and family history with a health professional, preferably a specialist perinatal psychiatrist, to get advice relevant to you as an individual,’ explained Professor Jones. Clare Dolman described her experience of having a postpartum psychosis after the birth of her first child and the steps she took to avoid the same with her second (see Frequently asked questions and click on Women and Bipolar: ‘If I want to have a baby what do I need to know?’). Other women in the workshop recounted their own experiences of what had worked for them. One person asked why childbirth seems to act as a trigger for episodes? If you have bipolar and are thinking of becoming pregnant soon or already are, please email moodresearch@contacts.bham.ac.uk? or call Martina on 02920 688399.